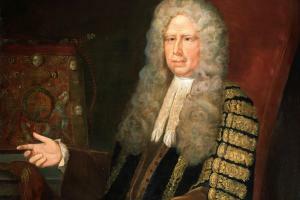 Speaker of House of Commons 19 May 1685-2 July 1687, 20 Mar. 1690-16 Mar. 1695. We are not to meddle with war or peace, but may be allowed sure to say as the disciples said to our Saviour ‘Help, Lord, we perish, unless you save us’. The French King pretends to be the great monarch of the world. Therefore for the safety of the kingdom, our lives, property [and] religion, and the Netherlands, let us give further assurance of aids and supply in case a war follows. I think you are not ripe for the word ‘immediately’. I will give you my reason for it, and then I hope I shall be excused. I take it not to be a parliamentary word. It takes away freedom of debate here, the essence of Parliament, and I would not take it away in another place. The ministers tell you the King cannot do it immediately. Why should you force the King? The matter has been depending these nine months, and how easily might Swale have reconciled himself in that time! Pray give not countenance to a Papist to sit in the House. I would no more speak against this bill than for idolatry. But it is a vain thing to send this bill up to the Lords. It has been three times sent up already and you have had no despatch of it, there are so many lords Papists in that House. ... Therefore I would have the bill look forward that no lords shall sit there, for the future, either by descent or be called by writ, that shall not take the oaths prescribed in the bill for the better suppression of Popery. The law of England makes no distinction between the Queen and the meanest person in point of treason, etc. I am loth to say what is in my heart. The Queen is nearest to the King’s person; there is but a wall between them. Therefore I would satisfy the loyal subjects of England. First consider whether the bill be drawn according to your order before you give it a second reading. You now are going to dispose of the most valuable thing in the world— the crown of England. But I cannot consent to this bill; it is not drawn according to your order. This does not only disable the Duke from inheriting the crown of England, but banishes him. The Parliament may dispose of the crown but cannot without cause banish him. I cannot consent to this bill, but I would not throw it out, but let it lie upon the table. Let gentlemen consider well of it at this time, but I cannot consent to reading it a second time. 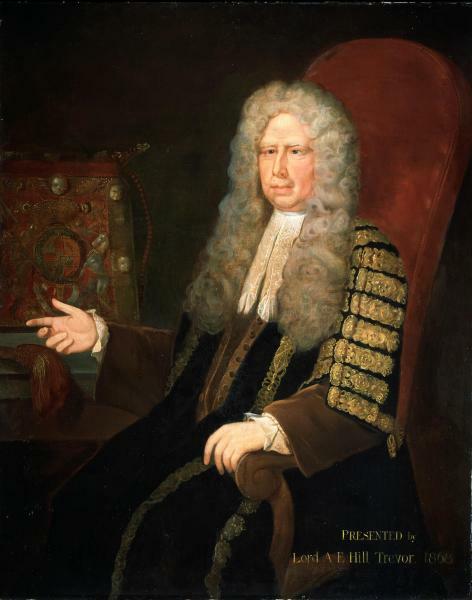 If I did think he was either the adviser or was of opinion that petitioning for the sitting of Parliament was unlawful I would lay my hand upon him as soon as any man in England. I will not go about to contradict the evidence but if all was laid before you I believe you will not be of opinion that he was the adviser. ... His carriage in this matter of petitioning was an error in his judgment in that he declared at that time not expedient. Upon the evidence I am satisfied clearly that this Lord is guilty so I would make no manner of bones to demand judgment. If you demand judgment you demand your privilege, and in that you explain your message. I would have no more delay but go up and demand judgment. The question is, whether you will consider the numbers of men, or a lump of money for Ireland. I am for men, and if you appropriate not the money, it may be applied either to the navy or the Dutch, and not for Ireland, and neither done at last. ... If you make not an end of the war this year, I know not how we can support it another. Later in the month he opposed the disfranchisement of Stockbridge, on the grounds that it was only through such boroughs returning non-residents that the correct mixture of interests was obtained in the House. I never heard of a borough dissolved before. I am afraid if this question pass, you, Mr Speaker, and I shall sit no more in that chair. I have the honour to serve for a borough in Devonshire for which I am obliged to a Member of this House and to the gentlemen of that country. ... The security of the nation was ever thought in the mixture of this House. What shall [then] become of merchants to inform you of trade? The House stands upon ancient institutions and I hope you will not remove old land-marks. The authority of the chair, the awe and reverence to order and the due method of debates being irrecoverably lost by the disorder and tumultuousness of the House; the managers having small credit, the rancour and rage between the opposite factions being irreconcilable, the nation in general grown weary of them and expecting a new Parliament. I am not for this; it is not the way to be in heat. This is not indemnity; at this rate we shall want indemnity here. Some things carry pardon in themselves. I desire pardon and pity. 1. J. E. Griffith, Peds. of Anglesey and Caern. Fams. 254-5; Misc. Gen. et Her. (ser. 5), ix, 19. 2. Cal. Treas. Bks. vii. 1073; PC2/76, f. 232v; A. N. Palmer, Town of Holt, 149. 4. DWB; North, Lives, i. 286; A. H. Dodd, Studies in Stuart Wales, 87-88; Salusbury Corresp. ed. Smith, 202; CSP Dom. 1672-3, pp. 525, 548; Grey, ii. 50, 66, 241, 305. 5. CJ, ix. 344, 372, 380, 408; CSP Dom. 1676-7, p. 474; Grey, iv. 305; Browning, Danby, i. 229. 6. CJ, ix. 461, 466-70, 485; Grey, vi. 24, 71, 86-87. 7. Grey, vi. 300; CJ, ix. 553. 8. Grey, vii. 136, 153, 216, 286; CJ, ix. 599, 611, 622; HMC Ormonde, n.s. v. 76, 77. 9. HMC Ormonde, n.s. v. 257, 516; CJ, ix. 640, 647, 671; Bramston Autobiog. (Cam. Soc. xxii), 208; Grey, vii. 470; viii. 110. 10. Bramston Autobiog. 197; North, Lives. i. 286; CSP Dom. 1687-9, p. 279. 11. R. Morrice, Entering Bk. 2, p. 590; 3, pp. 32, 93; CJ, x. 238, 242; Foxcroft, Halifax, ii. 228; Bodl. DD, Ashhurst Cl, Ashhurst to Richard Trevor, 1 July 1689; Grey, ix. 393, 424, 528, 546; Dalrymple, Mems. ii. pt. 2, pp. 182-3. 12. Burnet ed. Routh, iv. 76.